For many years, Peru BIRF in Juliaca, an industrial city in the Andes region of Peru, had a reputation as a ‘bad’ school. Every morning, as classes were getting underway at BIRF (which stands for Banco Internacional de Reconstrucción y Fomento), a van rolled slowly around the neighborhood, looking for kids skipping school. Some of the kids had been drinking, despite the early hour; others had been using drugs. Many parents work as migrant laborers and live far from the family home, so many students don’t have anyone around to notice if they skip school. These challenges are not unusual in under resourced areas of Peru, but they’ve been particularly acute at Peru BIRF. To address these issues, the Ministry of Education developed a program called tutoria sessions in 2005. The intention of tutorias is to teach adolescent youth life skills, and to support their psychosocial development – based on the belief that healthy teenagers perform better in school. Topics suggested by the Ministry include substance abuse; bullying; domestic violence, reproductive health; and low self-esteem. But for years, the daily one-hour tutoria sessions at Peru BIRF were wasted: with no set curriculum, they were primarily used for socializing. Sometimes teachers didn’t even show up. “Tutoria hours were a question mark for us,” says Profesor Efrain, one of the teachers at Peru BIRF who leads these sessions. 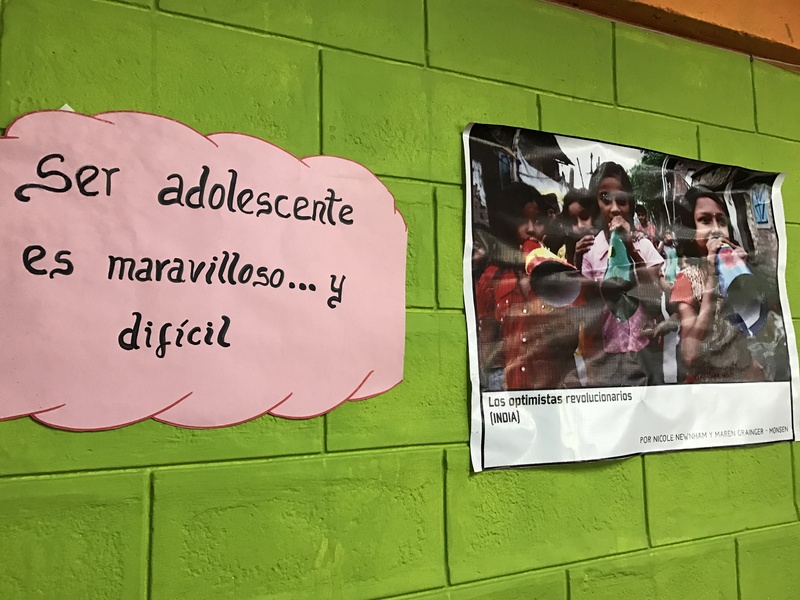 When the “Now is the Time” campaign began working in Peru BIRF, teachers saw an opportunity to use the campaign’s films to engage students and catalyze conversation on some of the key tutoria issues. In collaboration with Women and Girls Lead Global-Peru’s regional coordinator Ana Maria Benique, the teachers developed a curriculum that aligned campaign films and discussion guides with suggested tutoria topics, with an emphasis on harnessing the power of media to engage audiences and to generate conversation. 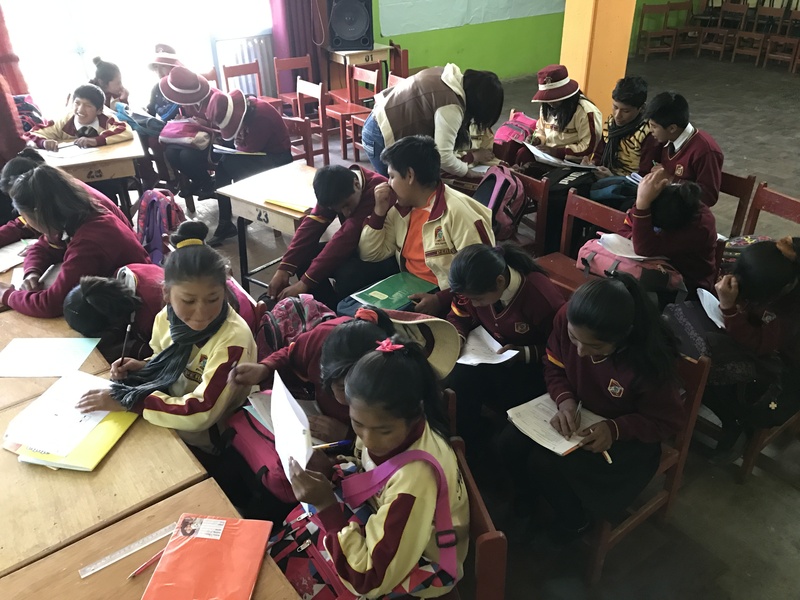 “It’s much easier and more interesting for students to connect with a topic using video rather than lecturing them,” says Peru BIRF’s headmaster, Nestor Chipana Callata. 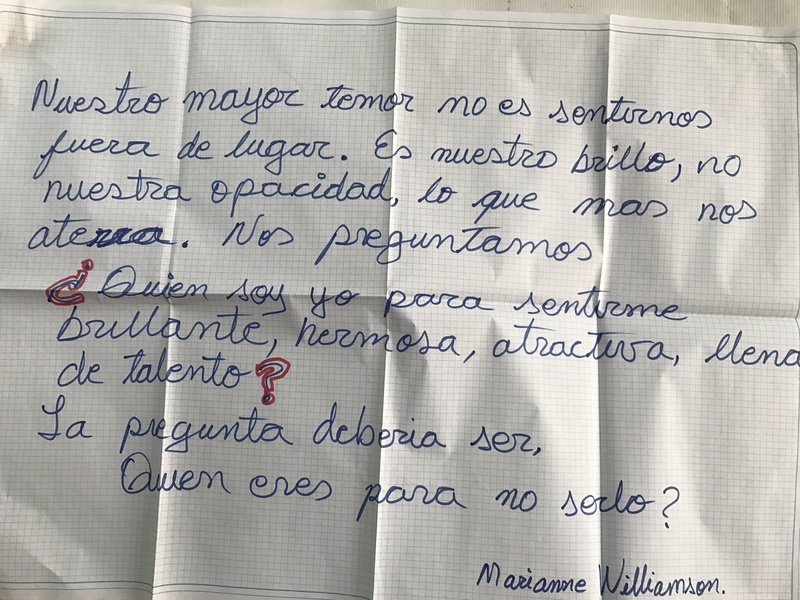 On a recent visit to Peru BIRF, I observed a tutoria session designed to boost students’ sense of self-worth and to prompt them to recognize the value of education in their lives. In a large lime-green classroom decorated with film posters and diagrams of the female reproductive system, about 35 students intently watched a segment of a film series called “Don’t Back Down”. The series was produced by young leaders in the “Now is the Time” campaign, and on this particular afternoon, the episode told the story of a student who stops going to class in favor of working – and a female friend who tries to convince him to invest in his future by returning to school. Afterward the teacher leading the tutoria – Profesora Roxana Choque – facilitated a conversation about the importance of young people developing a vision for their futures – and how staying in school will help them achieve their visions. Then he led the students in a series of call-and-response self-affirmations. “I am valuable!” “I am smart!” “I am talented!” the students shouted in sync, pumping their fists in the air each time. These simple affirmations aren’t directly correlated with keeping students in school or preventing early unplanned pregnancy – but in a culture where many young people are raising themselves, and might not be receiving the support they need to navigate the turbulence of adolescence, they provide an important emotional foundation for success. Since the new tutoria curriculum was introduced this year, attendance has improved, as has students’ performance. Between 2014 and 2016, the drop-out rate at Peru BIRF went from 8.3 percent to 4 percent. 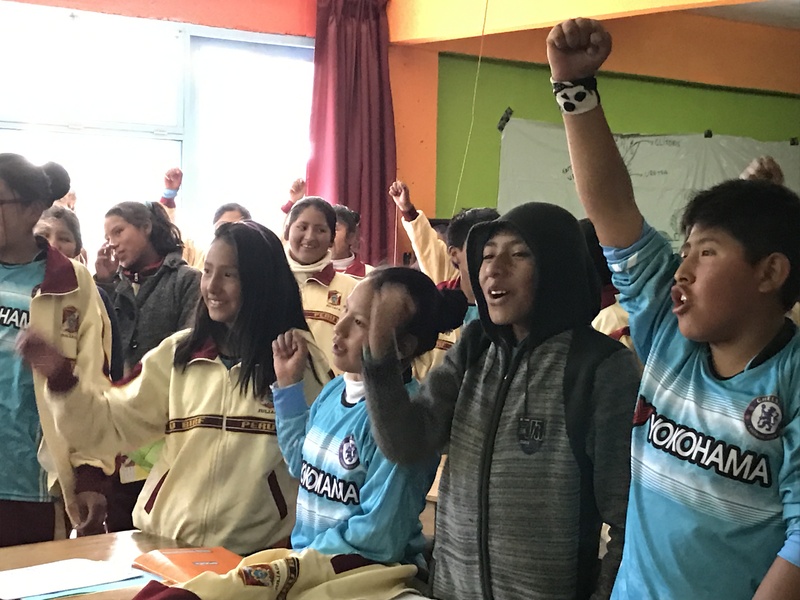 In fact, the tutorias have proved so valuable that the regional education ministry in San Ramon, UGEL (Unidad de Gestion Educativa Local), has entered an agreement with Women and Girls Lead Global-Peru to expand the use of the film-based tutoria curriculum to all 33 schools in the district. “Who are you not to be?” Profesora Choque repeats for emphasis. Some of the students smile shyly. When the bell rings for their next class, they file out of the classroom in chattering groups, cheerful and energized. Next Post Could the next generation turn the tide in Haryana?